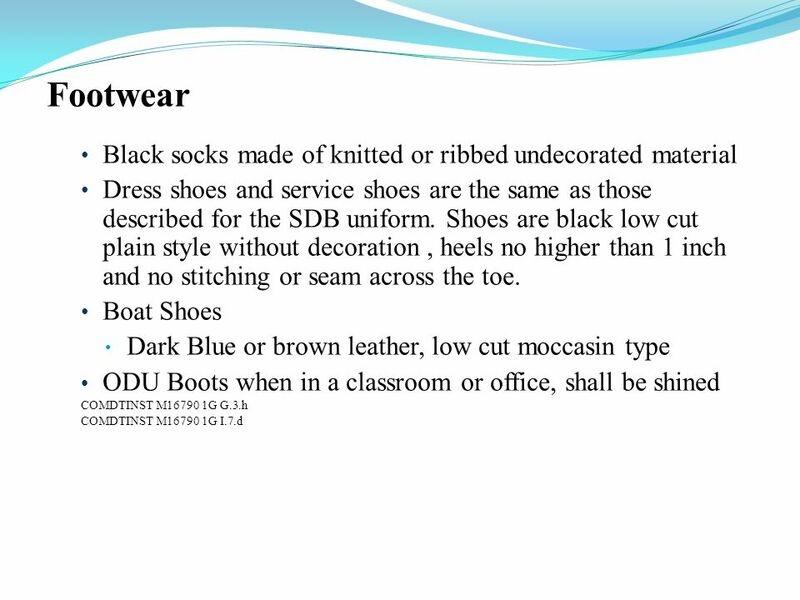 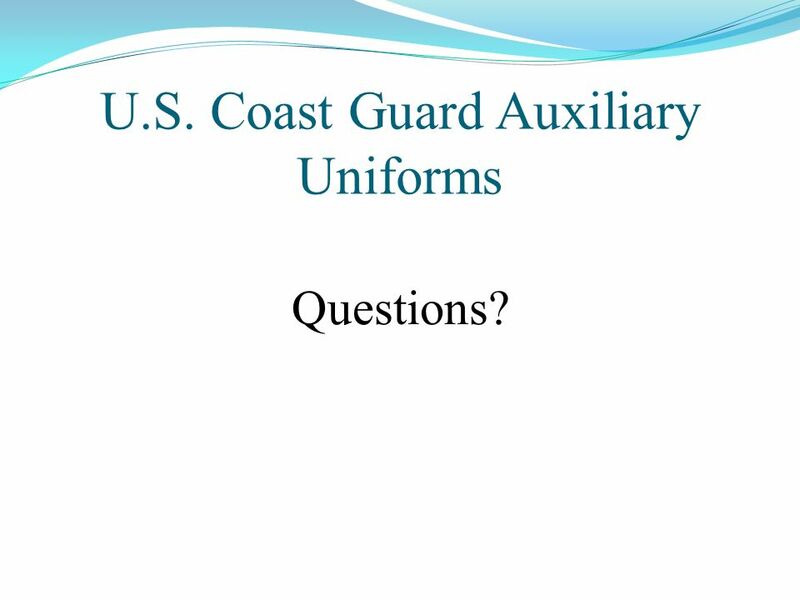 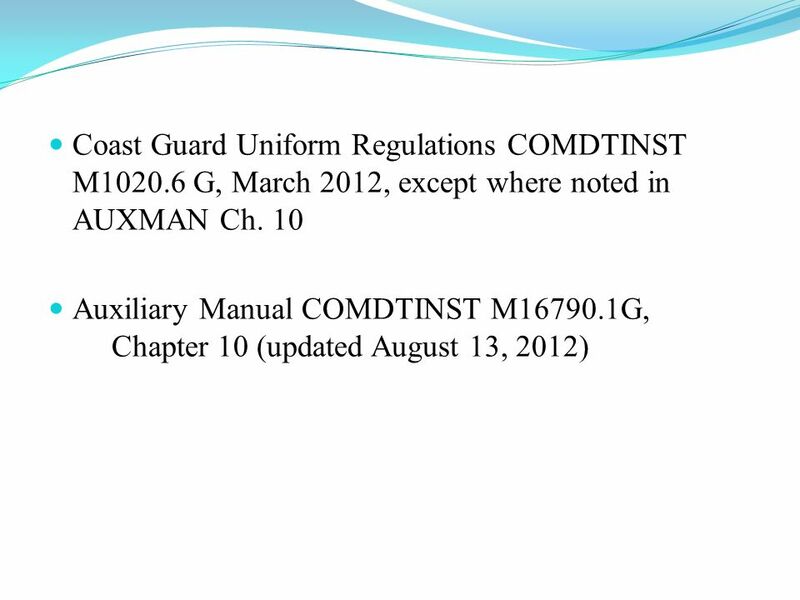 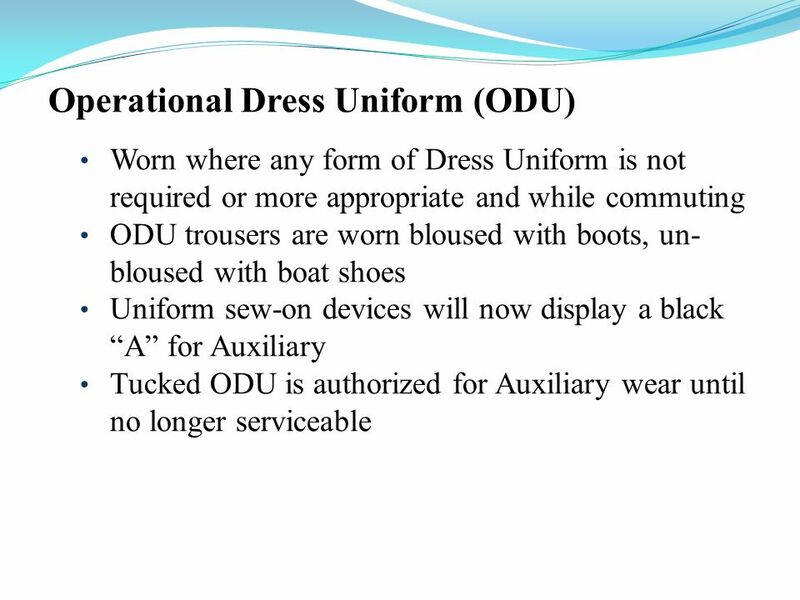 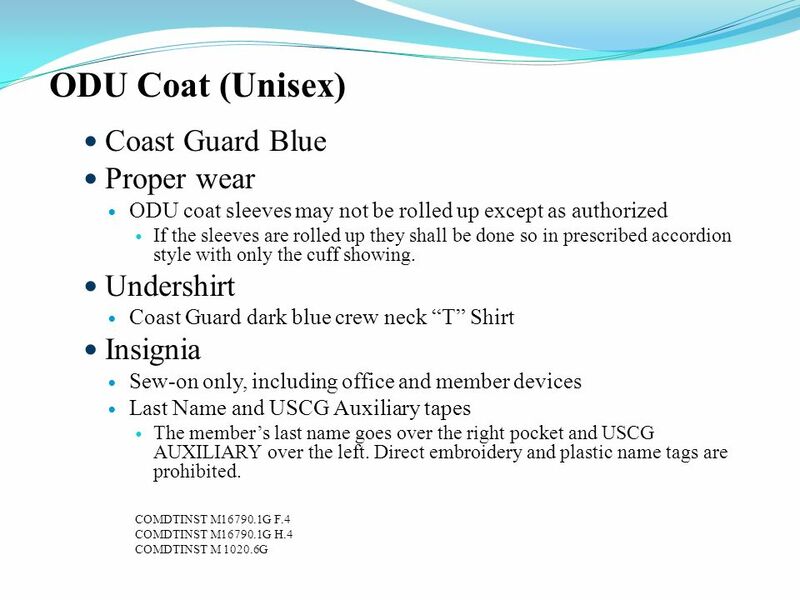 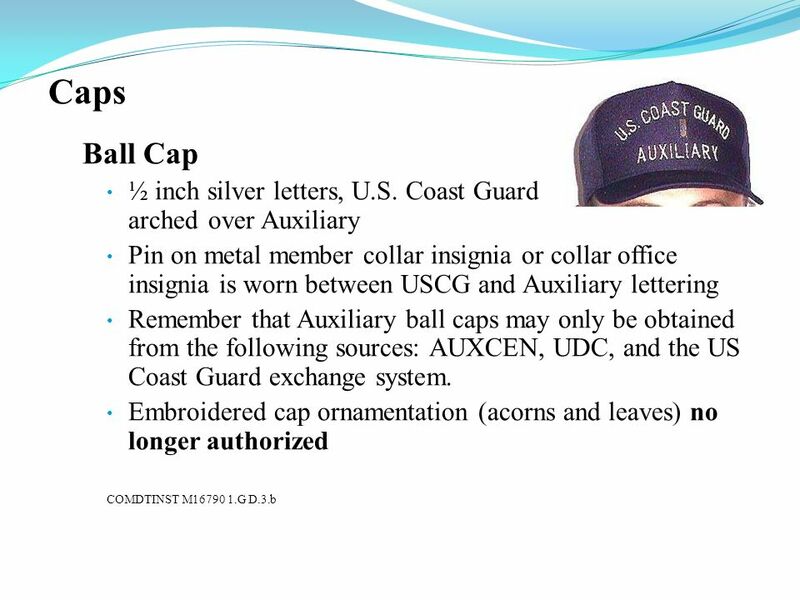 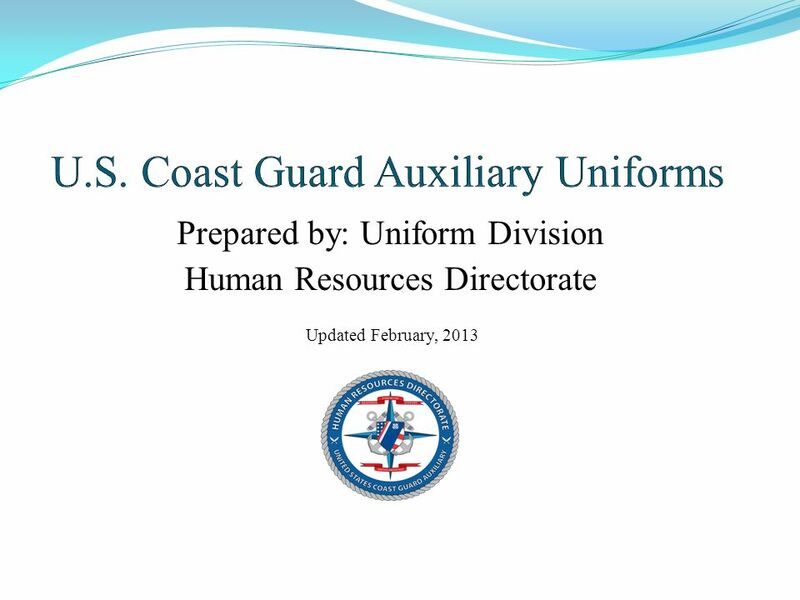 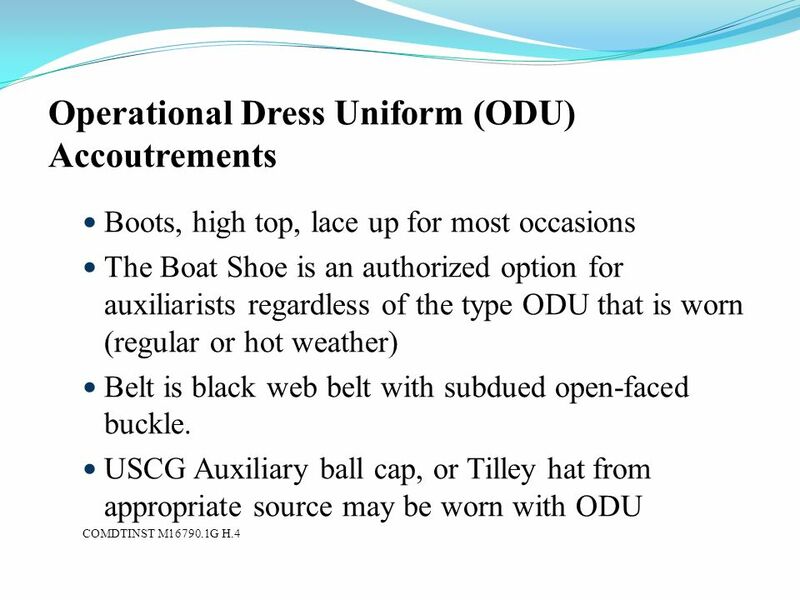 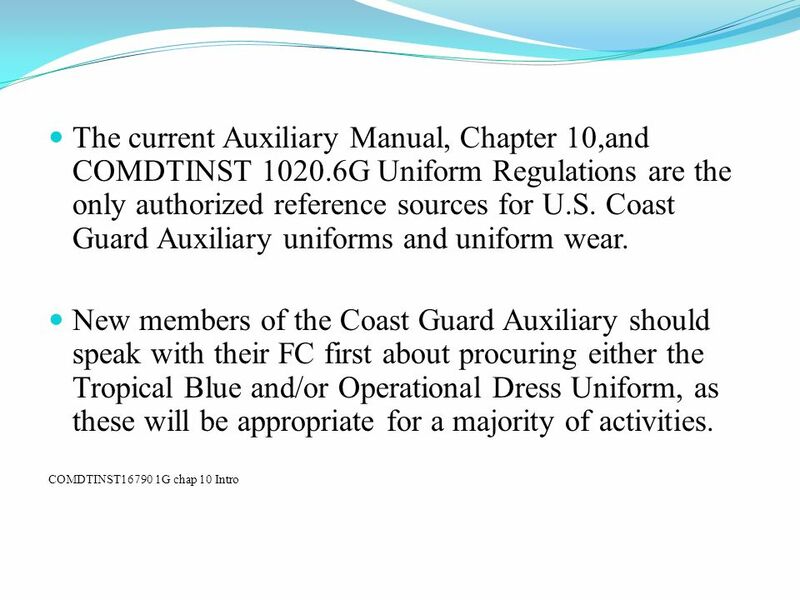 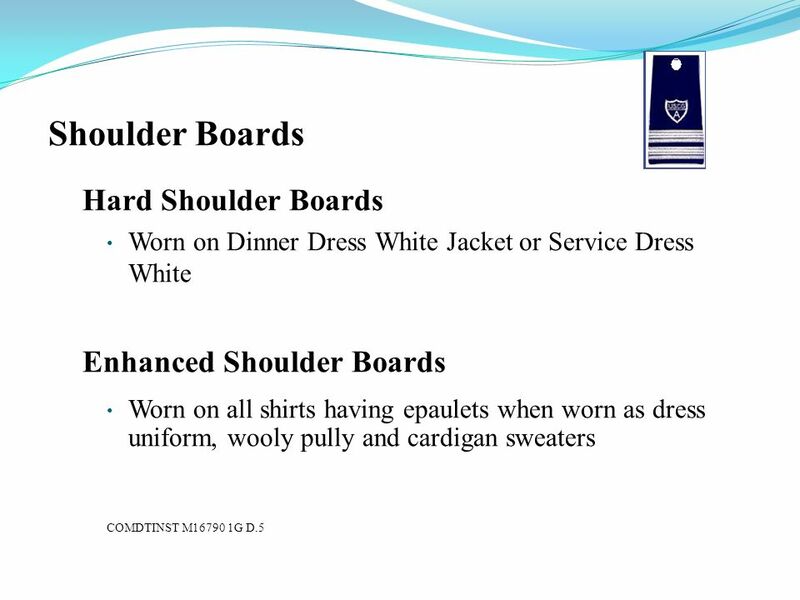 Download ppt "U.S. Coast Guard Auxiliary Uniforms"
A Presentation GROOMING & APPEARANCE By Mayank Sharma. 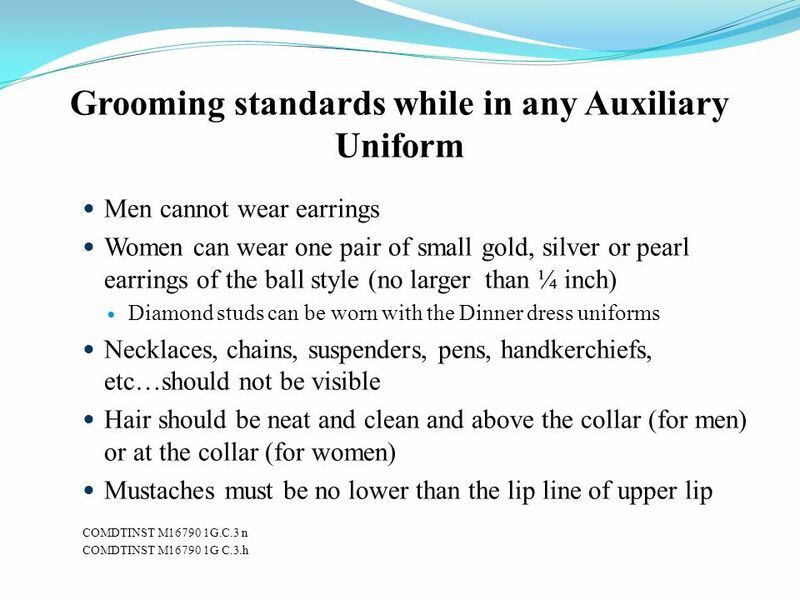 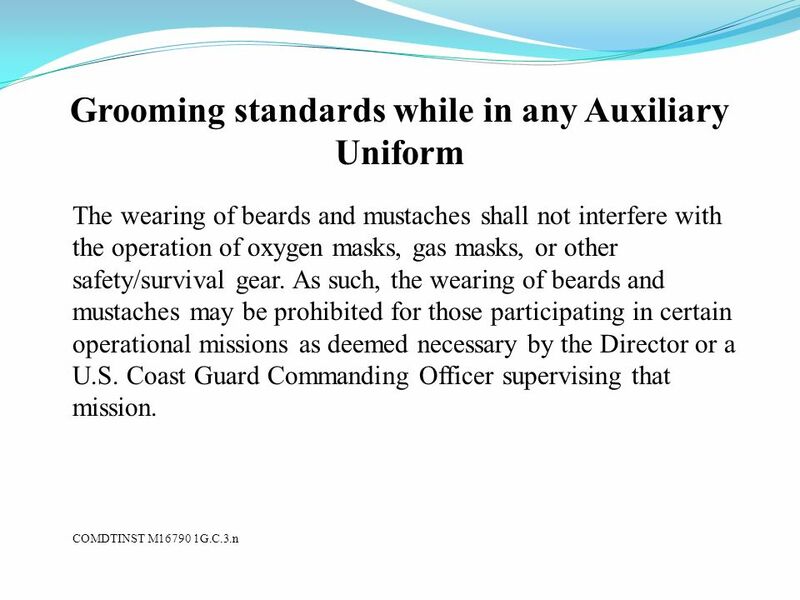 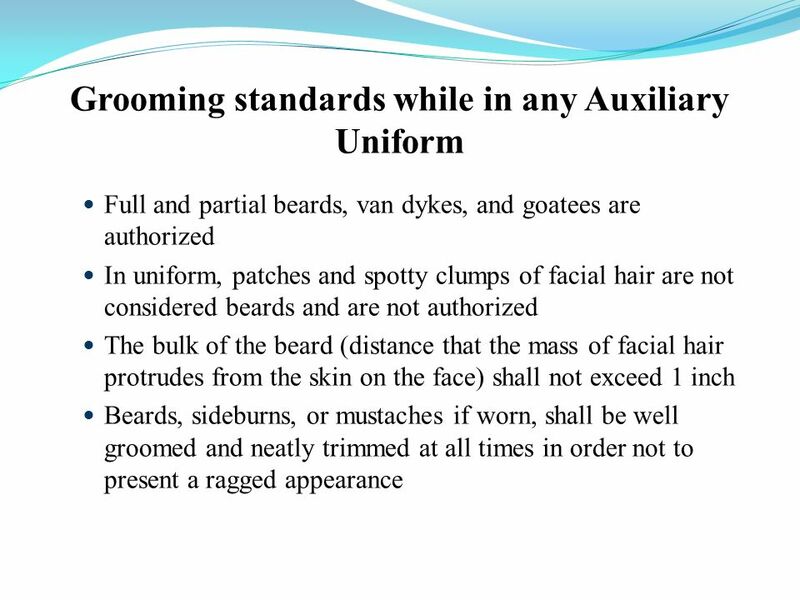 UNIFORM REGULATIONS AND GROOMING STANDARDS. 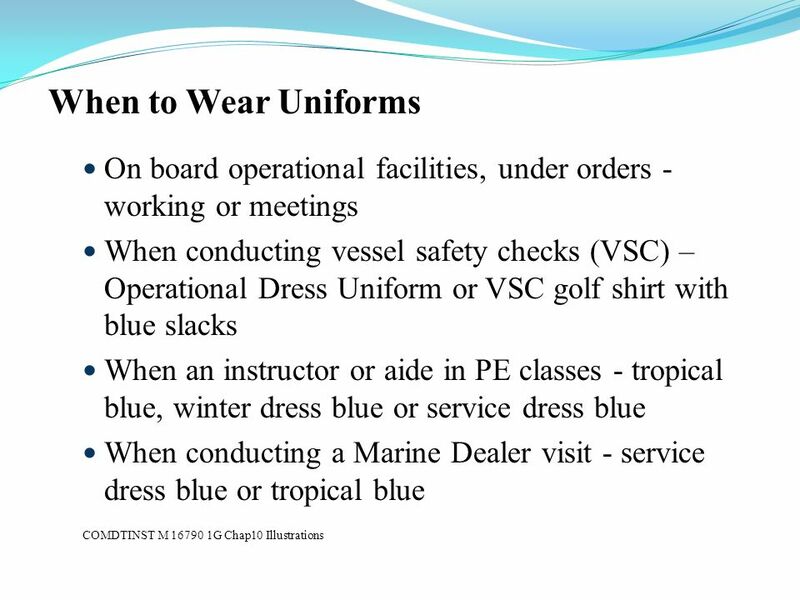 WEARING UNIFORMS WITH PRIDE -Uniforms should reflect pride in yourself, the United States Navy, and the United. 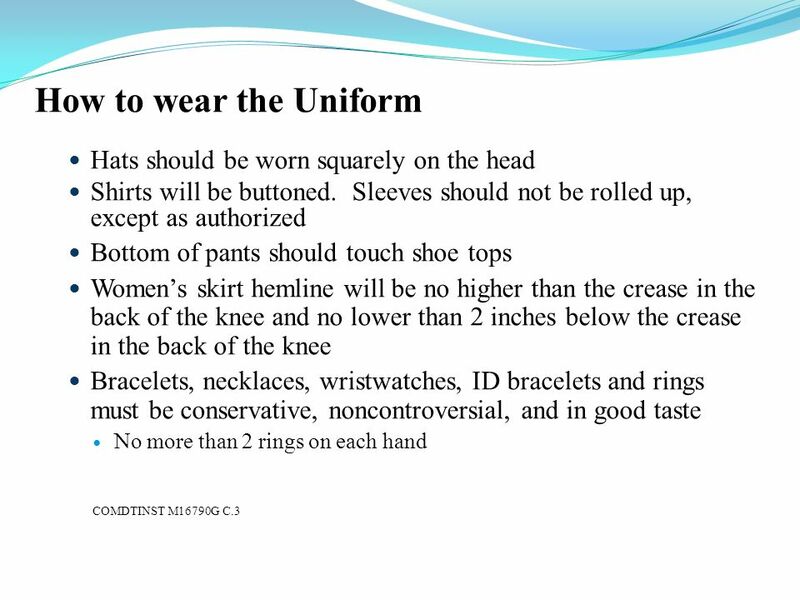 Dress for Success: Your Guide to Looking Sharp by Dr. Tom Stephens. 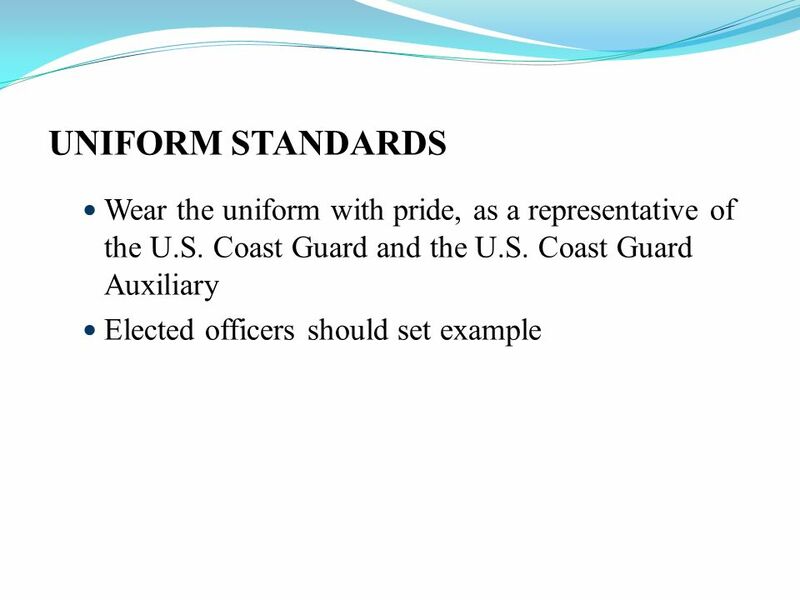 Comprehensive Presentation on the Proper Wear of the Uniform. 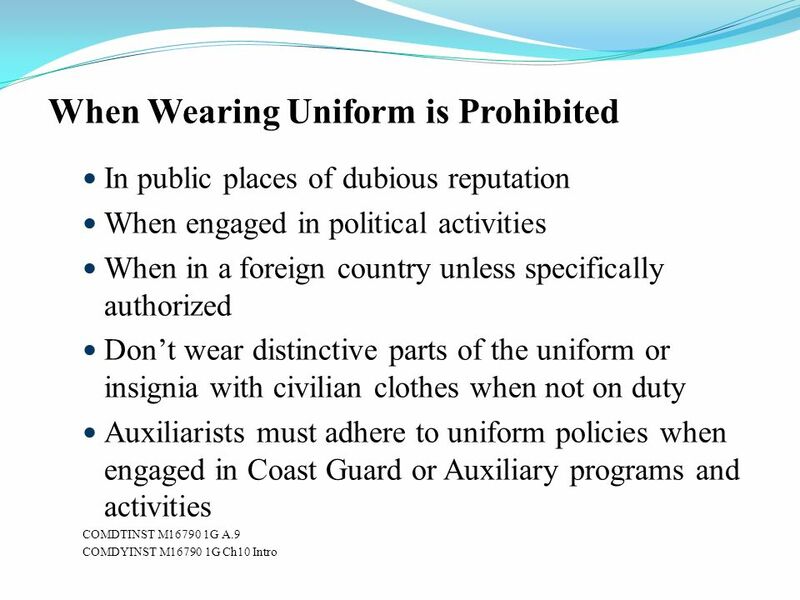 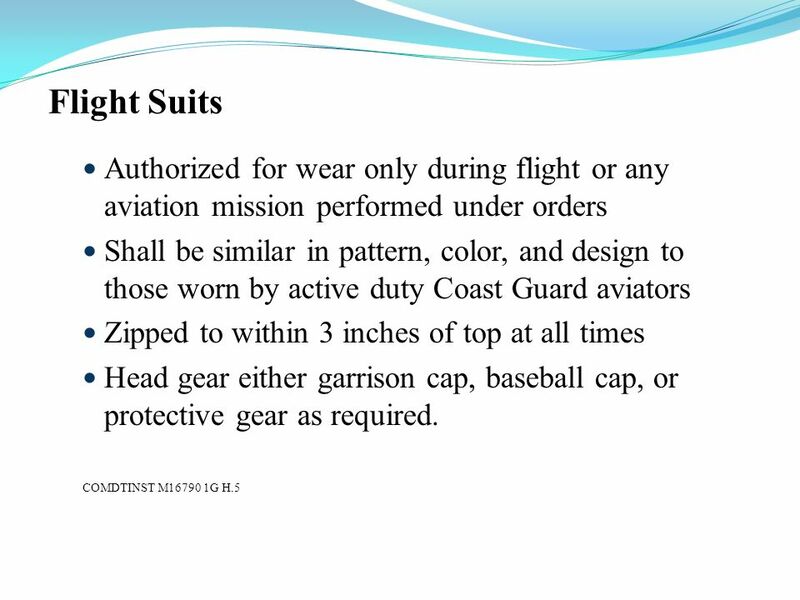 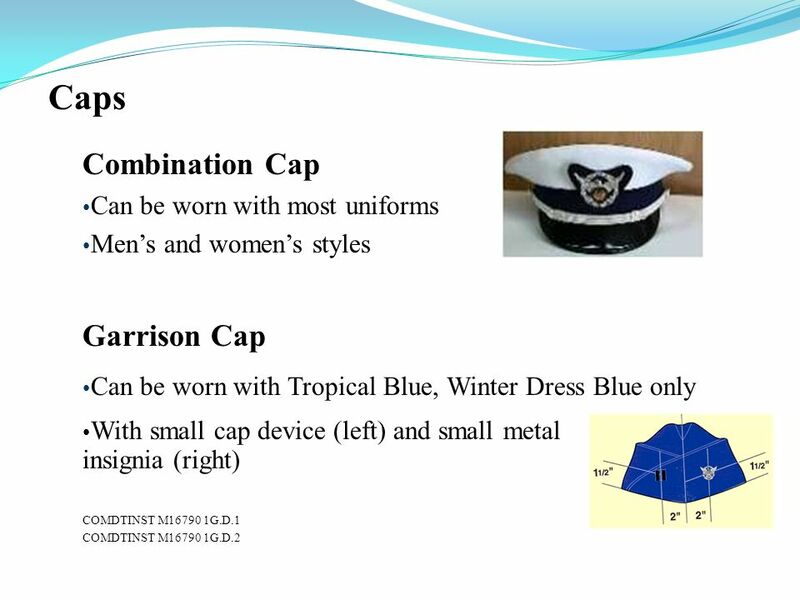 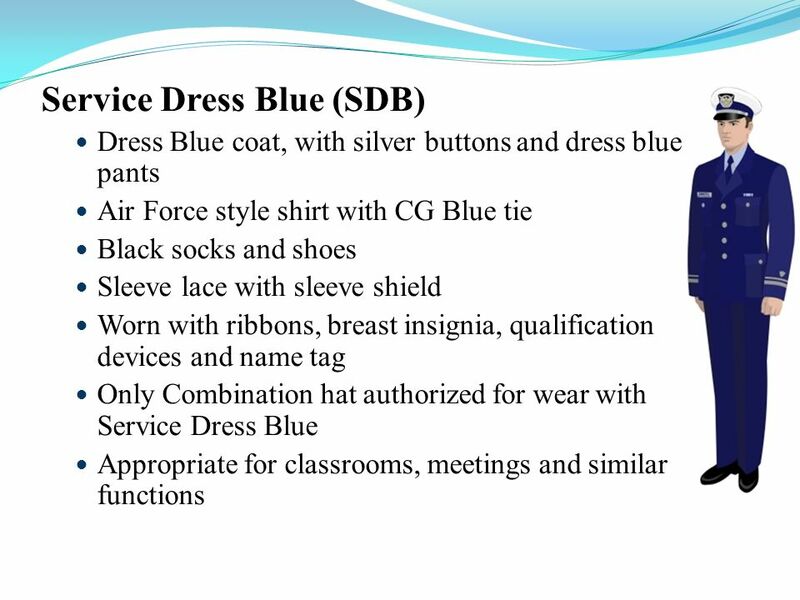 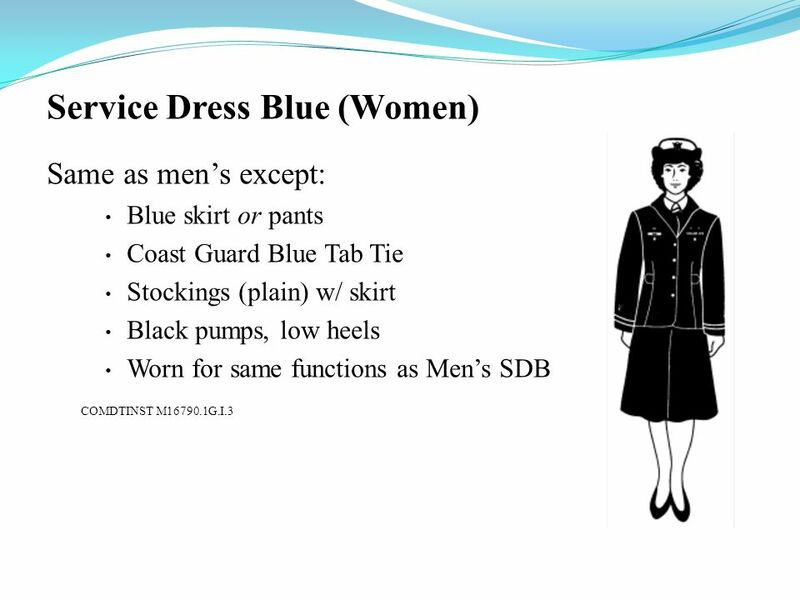 Slide 1Lesson 11: Wear of the Uniform Wear of the Air Force-Style CAP Uniform. 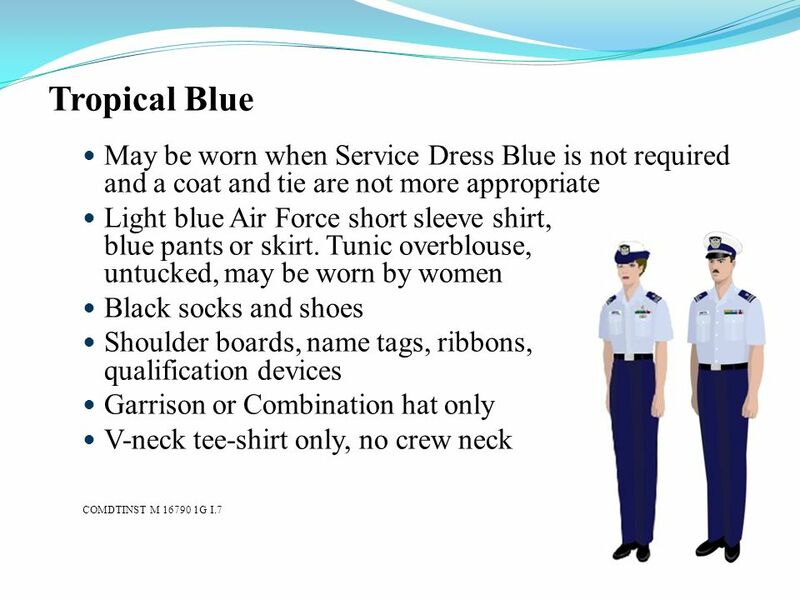 ACTIVITY 2.4 LEADERSHIP FOUNDATIONS 4: THE CADET UNIFORM. 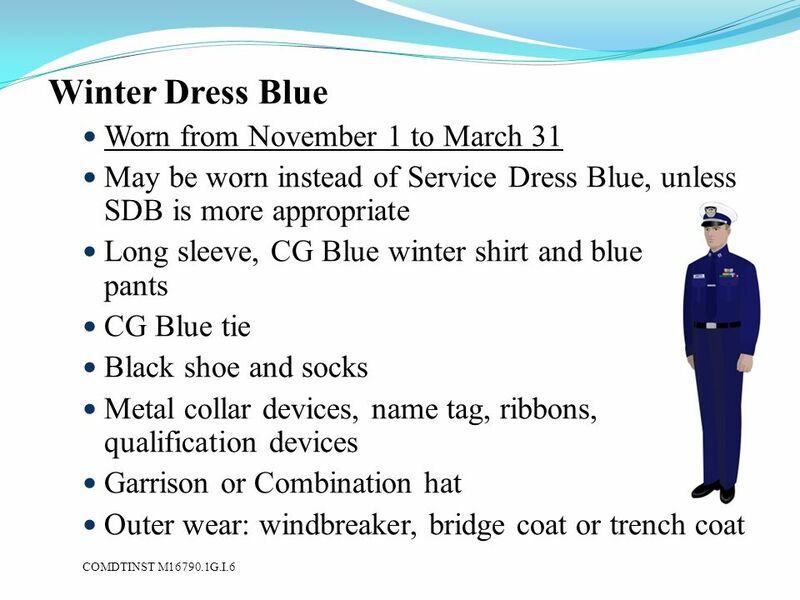 1 The Indiana Department of Correction presents New Employee Orientation: Uniformed Dress Code. 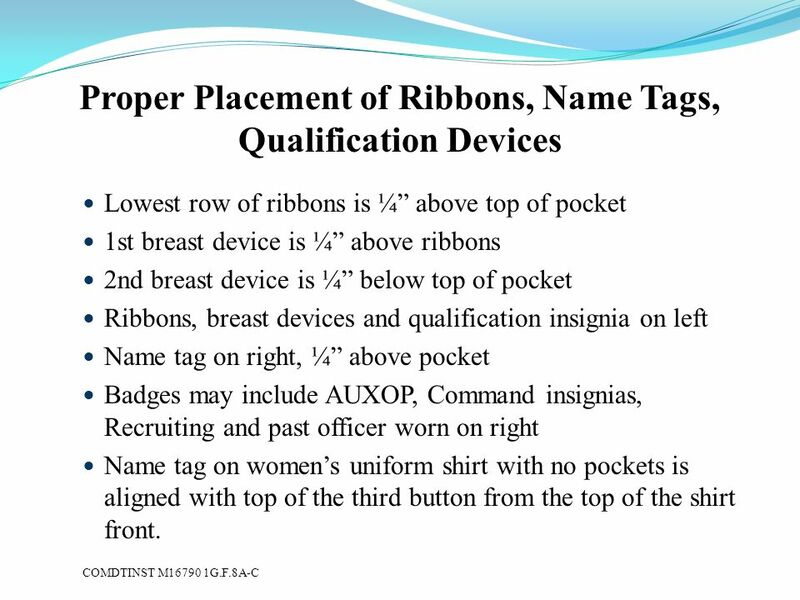 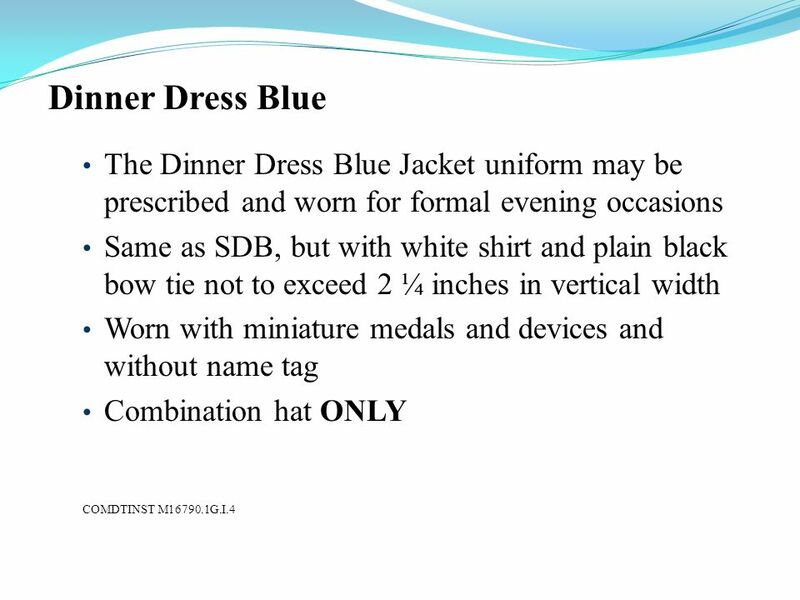 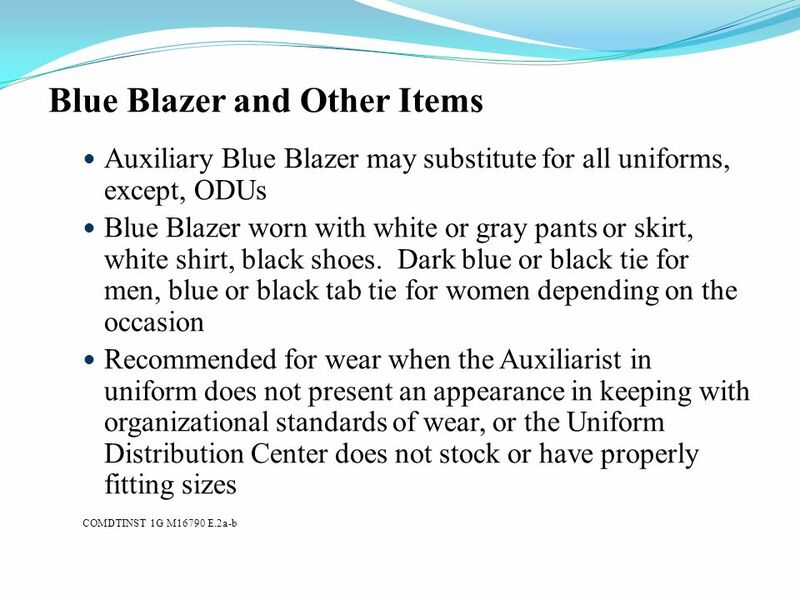 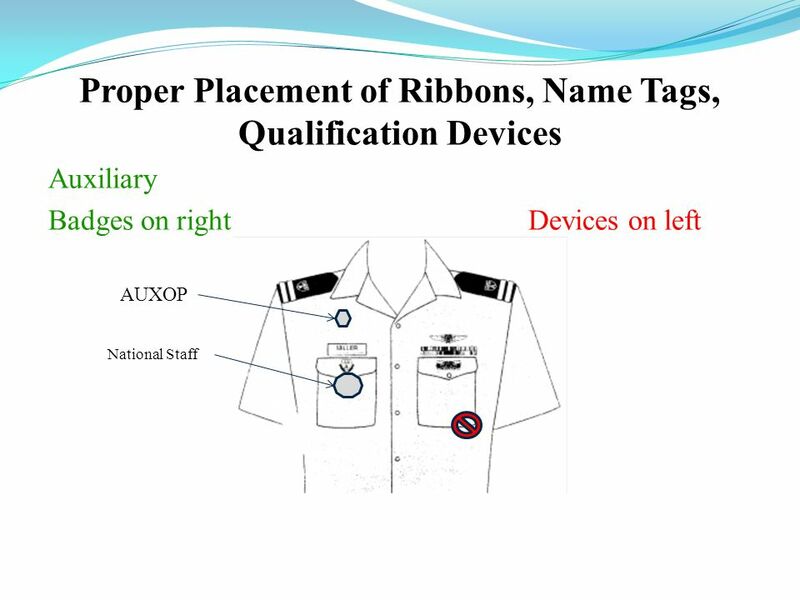 Objective Utilizing handout, apply name, ribbons, and rank insignia to AF blue shirt, jacket & windbreaker. 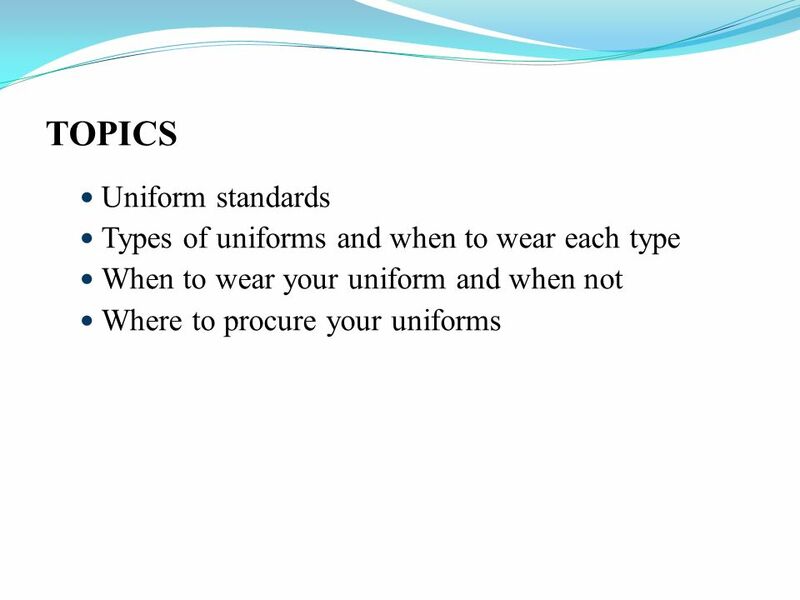 UniformsUniforms National Training Department. 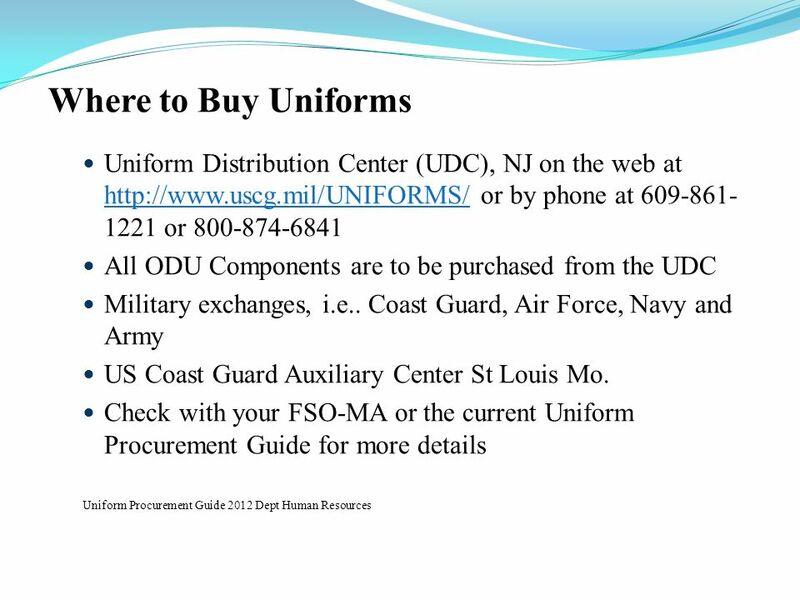 WHAT YOU WILL LEARN What You Need and How to Get It Procurement The First Uniform Types of Uniforms Insignias.